Forward Patrol was a Sears exclusive that showed up in the 1975 Sears Christmas catalog. 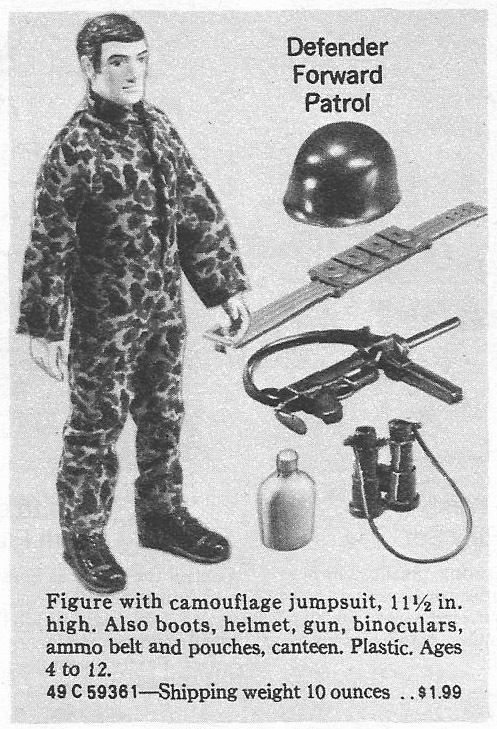 Collec﻿tor James Long provided the great Sears catalog shot below and added the intel that the figure appeared on the bargain shopper pages, not with the GI Joe action figures. The image of the figure and accessories with the original shipping box comes from the collection of 71Roadrunner340. Note the difference between the jumpsuits and the earlier style helmet in the ad.